High earnings: Eyelash extensions application is an expensive affair and those who are really good at it will charge higher fees for their services. Depending on the quality of your work, there is no limit to how much you will be able to earn. Flexibility: If you are not employed, you can schedule your appointments in such a way that you will be free whenever you wish. This will give you time to attend to other personal issues like family as well as your social life. You can work from anywhere: As a lash artist, you can choose to set up an office in any location as long as your clients will be able to access it. Some will even set a room in their residential house where they will be conducting their lash business which will save on transport expenses. You will develop great interpersonal skills in the process: As a lash artist, you will need to communicate to your clients in the process of the application. The more you communicate, the more you become confident in the way you relate and communicate to people. As an eyelash extension artist, you will not be limited to a particular version of application. You will have a variety of colors to work with, different eye shapes, and many other aspects that revolve around eyelash extension application. Each application will be a learning experience which will make you a better lash artist. To earn the benefits of a professional lash extension esthetician, you must understand the risks involved in lash application as you will be dealing with the eyes. This is because any wrong move can result in an injury or any other ugly incident that would cost you everything you have worked for and your career as well. 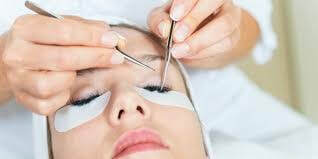 Eyelash extension application is a promising career if only you are willing to give your best.